Hands-on learning, one-on-one interaction, classroom studies and camaraderie are a few of the keys to an impactful career experience, as demonstrated by the inaugural year of the Phoenix Public Works Department’s Solid Waste Equipment Operators Apprenticeship Program. 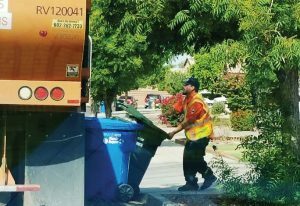 In recent years, the Arizona city has faced a challenge similar to public works departments across the nation — a combination of retirements, competitive salaries elsewhere and the need for specialized licenses led to a shortage of qualified, quality solid waste equipment operators. Due to this need, the SWEO apprenticeship program was born. 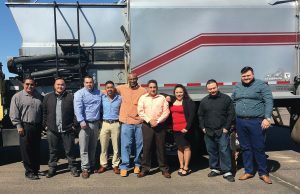 “We figured instead of competing with all the industries that require a CDL (commercial driver’s license), we would focus less on competing for the small talent pool and instead create our own pool of talent by investing in our training team and bringing people from the outside in to train them from the ground up,” said Felipe Moreno, deputy public works director. The first program of its kind in the nation, apprentices in the yearlong program learn the ins and outs of solid waste collection. 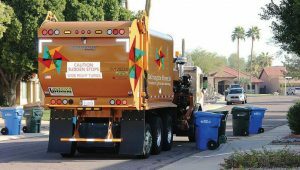 SWEOs are charged with providing residential solid waste collection for over 400,000 Phoenix residents. This includes garbage, recycling, organics and bulk trash. Moreno said the program requires no experience, and it asks only for solid work ethic and a good attitude from apprentices. Upon completion of the program, apprentices are ready to join the workforce. The first class was comprised of seven apprentices from various positions across the city. This year, the program went external. In an effort to increase diversity of background and experience, the application for the apprenticeship program was promoted through the state’s website, the Phoenix Human Resources Department and partnerships throughout the city. Of more than 300 applicants, seven were chosen for the 2018 class. 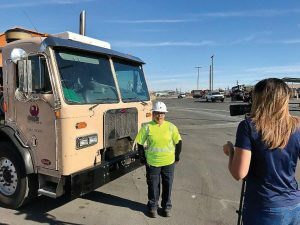 Moreno said aside from the opportunity to learn a trade and earn a CDL, apprentices are given a chance to get a jumpstart in a profession that could turn into a career and open doors for them down the line. Feedback from participants has been overwhelmingly positive, and the first class of apprentices is doing well in the workforce. In terms of future planning, Moreno said he’s taking it one day at a time, keeping in mind the resources available to him. “Being a young program, we’re trying to grow into this slowly and graduate people who are ready to be great,” he said. “We would love to grow and expand the program, but we’re a few years out from that. With the program only in its second year, Moreno admits he doesn’t have all the answers — but he’s happy to lend an ear and advice to other communities looking to implement something similar.